The Ministry of Transportation has issued a circular to limit the number of foreign pilots in the country, a move that the ministry said was aimed to provide more opportunities for local pilots to fill vacancies in the lucrative aviation industry. The ministry also made the move after it found several foreign pilots forging reports about their flight hours. “So, the number of flight hours was actually lower than what they reported,” Transportation Ministry spokesman Bambang S. Ervan was quoted as saying by Tempo on Friday. However, Bambang refused to reveal the names of the airlines that hired foreign pilots who faked flight-hour documentation. He did however add that it was likely the pilots forged documents to accelerate the process of becoming pilots in command. Under Indonesian regulations, a pilot can become a PIC after 1,000 hours of flying and a co-pilot must have 250 hours flying experience. “But we make selections. Only those with experience can obtain an Indonesian license,” he said, adding that Indonesia needs foreign pilots but saying the country only had about 600 foreign pilots out of a total of 7,000. Garuda Indonesia and AirAsia declined to comment on the government’s plan to curb the issuance of PIC licenses to foreign pilots, saying they had not received the circular. “I have to study the circular first,” said Pujobroto, Garuda Indonesia’s vice president of corporate communications. “We have not been informed of the curb on the issuance of licenses for foreign pilots,” AirAsia Indonesia communications manager Audrey Progastama Petriny said. Previously, Merpati Nusantara Airlines said it hoped to fill the impending vacancies with graduates from its Merpati Training Center. “The vacancies for trained pilots in Indonesia can be filled by graduates … so the country can save foreign reserves,” Merpati’s vice president and corporate secretary Riswanto C.P. told reporters last month. Riswanto said that by training local pilots, the airline could play a role in helping reduce unemployment and improve the labor force. He boasted that the quality of pilots that graduated from Merpati Pilot School was the same as those who graduated from pilot schools abroad. Indonesian Pilot Federation chairman Hasfrinsyah said Indonesia only has about 7,800 pilots and that it still needed more. Hasfrinsyah expressed concern over the curb on foreign pilots, saying Indonesia was not ready to fill the vacancies in terms of quality. “There are flying schools that continue to give ground schooling. Their students never flew,” Hasfrinsyah said. Data from Boeing showed that Indonesia’s aviation industry needed around 4,000 new pilots between 2011 and 2015 or about 1,000 every year, as well as 7,500 technicians and 1,000 air traffic control officers. Thirteen pilot schools in Indonesia were only able to produce 650 pilots every year, assuming that every school produces 50 pilots per year, which means that Indonesia was still 300 to 400 short of its necessary target. Meanwhile, the Transportation Ministry’s head of human resources development Bobby R. Mamahit said Indonesia had only been able to produce about 400 pilots per year out of the 1,000 needed. He said the minimum 250 hours flight requirement for foreign pilots would not discourage foreign pilots from applying to Indonesian airlines, adding that the regulation will not pose any problem for the local aviation industry. 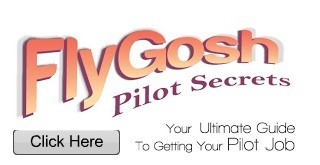 “It’s impossible that the flight hour regulation for foreign pilots will cause a shortage of pilots. Indonesia is a very lucrative place for them,” Bambang said. He pointed out that Indonesia was experiencing continually strong aviation growth. 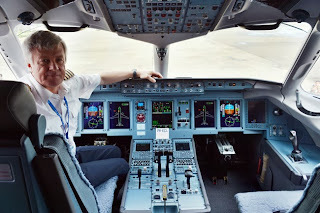 Bambang said Garuda Indonesia had even set a higher standard by requiring pilot captains to have at least 1,000 hours flying experience and co-pilots at least 500 hours. “The standard set by the operator is higher than the one set by the Ministry of Transportation as the regulator. This means that the potential supplies for pilots with high flying hours is still very big,” he said. Bambang said the new regulation was aimed at increasing flight safety, “especially to prevent incidents that involved foreign pilots,” he had said previously. The dramatic crash of a Lion Air plane into the sea off Bali a few months ago raised concern that Indonesia’s fastest-growing carrier may be putting passenger safety at risk with its huge expansion plans, analysts said. Wawan Mulyawan, an aviation expert at the University of Indonesia who specializes in crew health issues, said the crash — in which all 108 on board survived despite the Boeing jet splitting in two — highlighted a “ticking time bomb” under the country’s aviation sector with a lack of experienced crew to meet fast-growing demand. He said that since the plane was new, a cause of the accident could have been pilot exhaustion. Pilots being exhausted and overworked could become more of an issue for the country’s aviation sector as a whole, he said, as airlines expand rapidly and there are not enough qualified crew to fill their rosters. “If the number of pilots cannot grow as fast as the number of planes and flights, we can expect worse cases in the future. It’s a ticking time bomb,” Wawan said.